We are now iPad ready! It is amazing to me how a new device can change the way you design a website. For years if you put video on a website you used Flash to do it. Flash is available for free to install on almost every computer platform; so, to make sure users could watch your video, you would make it a flash video. 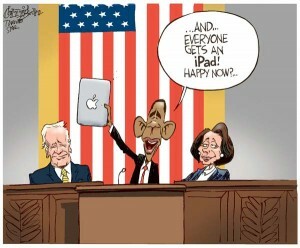 Then came the iPad! Apple stated that they would not include Flash for video playback on the device. Now, if you want users to have playback of your video on the device, you have to use a new standard of web design to accomplish this (known as HTML 5). Many web browsers such as Firefox, Google Chrome, and Safari support HTML5. Internet Explorer does not support HTML 5 at this time; therefore, we have included a flash fallback so users can still have video playback. We will always offer download links to our videos. We have versions for Windows Media Player, Quicktime, iPods, iPhones, iPads, Android Phones and the Ogg format. Ogg is an open-source video format supported by many platforms and many free video players. We have taken our best videos and enabled them to playback natively on iPods, iPhones and iPads. There is no need to download the video to see its contents. As technology changes, we at the NEA Portal will change with it. This entry was posted by Brandon on 2010/04/26 at 10:46 am, and is filed under News, Site News. Follow any responses to this post through RSS 2.0. Both comments and pings are currently closed.